The human person is on a pilgrimage of the heart. The human heart is a desire seeking fulfillment; an emptiness that longs to be filled full; a journey that moves toward rest. O Lord, you have made us for yourself, and our poor heart is without rest, restless till it rest in you! (St Augustine, Confessions I:1). The human person is created in the image of God. The biblical locus for this image, and the source of this unlimited thirst for its Creator-Source, is the human heart. Deep is calling on deep, in the roar of waters (Ps.42:8). “Seeking his workman in the multitude, the Lord cries out…Is there anyone here who longs for life and desires to see good days?” (Rule Prologue,14). The voice of Christ rouses the person to a deeper awareness of human destiny. By answering “Yes!” one chooses to follow Christ under a rule and an abbot (the elected spiritual father of the community) in a stable community. The monastic life, as envisioned in the Rule of St. Benedict, is nourished by a threefold stream: lectio divina (the prayerful reading of Scripture); opus Dei (the communal chanting of prayers), and work. At every weekday Mass after Communion, the monks and their guests at Mepkin pray this prayer for vocations to the monastic life. The prayer is available at the Abbey story on a card with a photo of the Mepkin community, and it is being distributed by the Abbot and the brothers in many of their letters to family, friends and benefactors. The prayer is also sent to anyone who inquires about a vocation at Mepkin and to those who come to the monastery for a time of vocation discernment. 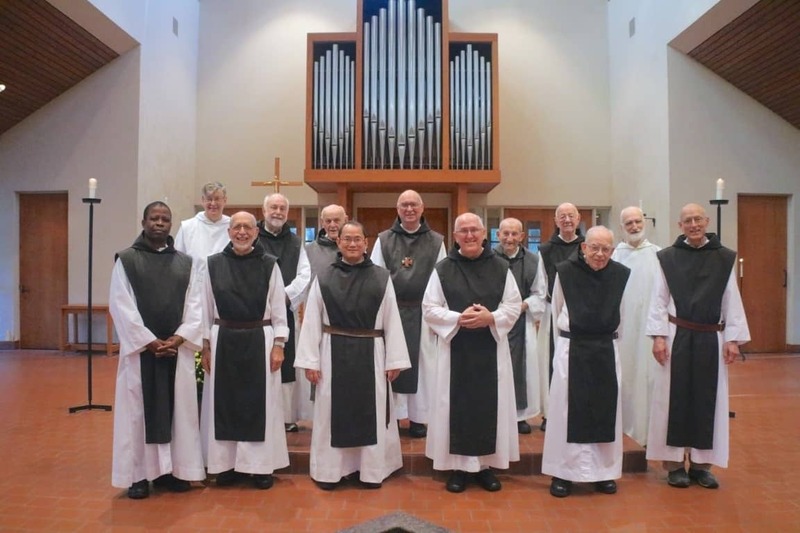 Please join the monks in praying for monastic vocations, especially at Mepkin Abbey. and with joy never ending.